MUFF WIGGLER :: View topic - 3d printing to clone switch caps? 3d printing to clone switch caps? Does anyone know of or provide a service that clones small plastic synth parts using 3d printers? I was helping a friend add a highly liquid midi kit to a yamaha cs01 mkII and lost all the switch caps. This is the more rare black version of the synth so it seems more difficult than usual to even buy another synth to provide the caps. 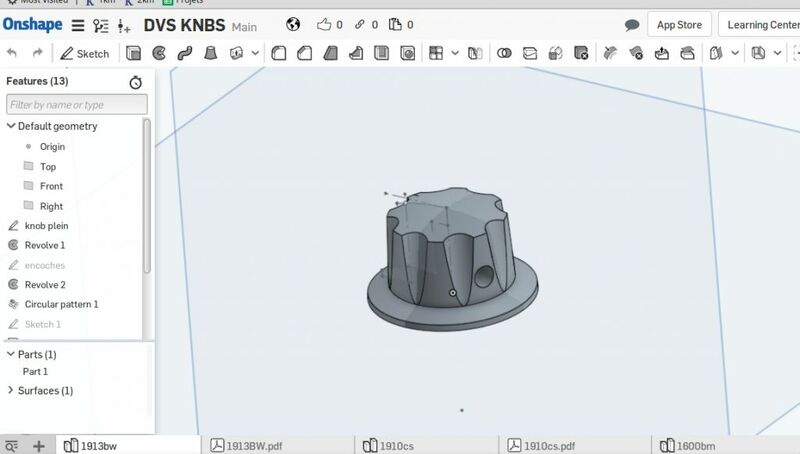 I happen to have one switch cap that I can use as a reference, but dont have personal experience with 3d printing or 3d modeling. Does anyone have experience doing this kind of thing? Those are a pretty small part, so to get the resolution you need, you are looking probably at SLA, not an FDM (the more common machines that people have) process. Proto houses like 3Dsystems and ProtoLabs can do this though. The other issue is the little colored band on the originals, but I guess you could paint that on. A more robust option would be to have one of the aforementioned places do a low-volume injection run. They do this by making the mold tool out of aluminum instead of a production tool which will be steel typically. The per piece part will be cheap, but the tool will be about $1000 (eek). For the software i use onshape, it's free, works in the browser. For the company, shapeways is one of the biggest. I would print in black SLS (it is Nylon, they print it white then tint it) and then i would use a metal saw blade to do a notch in the center for the white line. it might cost you 5$ per cap maybe? It has a powdery feeling, but with 3d printing, it will never feel like an original. Use a casting method instead. Smooth-on is one of many suitable companies. then i would use a metal saw blade to do a notch in the center for the white line. 3-d print the notch as well? You will need to adjust notch width and depth to suit the material used. thanks for the suggestions everyone, i'll look into what those services have to offer, seems like some good options out there. anyone know if any of the other yamaha pss type synths use the same kind of slider caps?